(MENAFN - Newsfile Corp) Japan Gold Announces Strategic Financing with Goldcorp Inc. and RCF Opportunities Fund L.P. Vancouver, British Columbia--(Newsfile Corp. - December 12, 2018) - Japan Gold Corp. (TSXV: JG) (OTCQB: JGLDF) ("Japan Gold" or the "Company") is pleased to announce that it intends to raise approximately $6.65 million (the "Offering") through the issuance of 44,333,334 common shares (each a "Share") at a price of $0.15 per Share (the "Issue Price") by way of a private placement to certain strategic investors, including Goldcorp Inc. (TSX: G) (NYSE: GG) ("Goldcorp") and RCF Opportunities Fund L.P. ("RCF Opps"). As part of the Offering, Goldcorp has agreed to subscribe for 22,602,634 Shares of the Company and RCF Opps has agreed to subscribe for 10,000,000 Shares of the Company, representing 19.9% and 8.8% of the issued and outstanding common shares of Japan Gold, respectively, upon completion of the Offering. Southern Arc Minerals Inc. ("Southern Arc") has additionally agreed to purchase 10,000,000 Shares under the Offering. Concurrently with closing of the Offering, Southern Arc intends to effect a private sale (the "Trade") of 10,000,000 Shares that it currently owns to funds managed by a global investment manager. Southern Arc has concurrently filed a Notice of Intention to Distribute Securities under Section 2.8 of National Instrument 45-102 - Resale of Securities ("NI 45-102") in order to permit it to effect the Trade upon expiry of the requisite seven-day notice period under NI 45-102. Following the Trade, if consummated, there will be no change in the total number of Shares of the Company held by Southern Arc, which will then represent a 31.9% ownership position in Japan Gold, and the funds acquiring such Shares will acquire freely-tradable shares. Certain insiders of the Company have also agreed to participate in the Offering on the terms described above. The Offering is expected to close on or about December 20, 2018. John Proust, Chairman & CEO of Japan Gold, commented: "We are very pleased to welcome Goldcorp, among the world's largest gold producers, and RCF Opportunities Fund L.P., managed by a pre-eminent mining-focused private equity fund manager, as flagship significant shareholders of the Company as we continue to unlock the mineral potential of Japan. This financing allows us to advance exploration of our prospecting rights, which are centered on historic and prospective areas of gold mineralization. Goldcorp will also participate with Japan Gold on a joint technical committee, and we look forward to the contribution of their experienced technical team. Separately, Japan Gold and First Quantum Minerals Ltd. are continuing to advance their joint exploration activities on four copper-gold lithocap projects in Japan." Russ Cranswick, Partner and Head of RCF Opps, further stated: "As an organization, we continuously look for unique opportunities within the mining industry. As such, we are excited to be supporting Japan Gold as a first mover into a new phase of Japanese mineral exploration." The net proceeds of the Offering will be used to explore and develop the Company's gold-focused assets in Japan, complete regional reconnaissance work to identify new prospective targets in-country, and for general corporate and working capital purposes. Subject to the terms of an investor rights agreement with Goldcorp and the subscription agreement with RCF Opps, each of Goldcorp and RCF Opps will be granted certain anti-dilution rights allowing them to maintain their equity ownership interest in Japan Gold. The private placement with Southern Arc is a "related party transaction" within the meaning of Multilateral Instrument 61-101 - Protection of Minority Security Holders in Special Transactions ("MI 61-101") by virtue of Southern Arc being a "control person" of Japan Gold. The Offering will be exempt from the formal valuation and minority shareholder approval requirements of MI 61-101 as neither the fair market value of any Shares issues to, nor the consideration paid by, Southern Arc will exceed 25% of Japan Gold's market capitalization. The Shares issued in the Offering will be subject to a statutory four-month and a day hold period from the date of closing in accordance with applicable securities legislation. The Company has applied to list the Shares on the TSX Venture Exchange (the "TSX-V"). Listing will be subject to the Company fulfilling all of the listing requirements of the TSX-V. The Shares are not being offered in the United States. Haywood Securities Inc. is acting as financial advisor and Morton Law LLP is acting as legal counsel to the Company. Beacon Securities Limited will receive a finder's fee in connection with the Offering. Japan Gold has been advised that, on closing, Goldcorp will acquire ownership of 22,602,634 Shares at the Issue Price for a total purchase price of $3,390,395.10 representing approximately 19.9% of the issued and outstanding Shares. 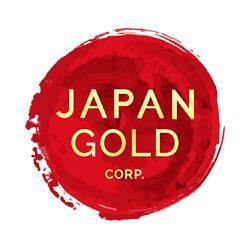 Goldcorp does not currently own any securities of Japan Gold. Goldcorp will acquire the Shares for investment purposes. Goldcorp will evaluate its investment in Japan Gold from time to time and may, based on such evaluation, market conditions and other circumstances, increase or decrease shareholdings as circumstances require. The exemption relied on for the acquisition of the Shares is Section 2.3 of National Instrument 45-106 - Prospectus and Registration Exemptions. A copy of the Early Warning report filed by Goldcorp in connection with the acquisition will be available on Japan Gold's SEDAR profile. Goldcorp's head office is located at Suite 3400 - 666 Burrard St. Vancouver, BC, V6C 2X8. Japan Gold Corp. is a Canadian mineral exploration company focused solely on gold and copper-gold exploration in Japan. The Company has applied for 216 prospecting rights licenses in Japan for a combined area of 71,529 hectares over seventeen separate projects. Sixty-eight of these applications have been granted as Prospecting Rights. The applications cover areas with known gold occurrences and a history of mining, and are prospective for both high-grade epithermal gold mineralization and gold-bearing lithocaps, which could indicate the presence of porphyry mineralization. Japan Gold's leadership team has decades of resource industry and business experience, and the Company has recruited geologists and technical advisors with experience exploring and operating in Japan. More information is available at www.japangold.com or by email at . Goldcorp is a senior gold producer focused on responsible mining practices with safe, low-cost production from a high-quality portfolio of mines. Further information about Goldcorp can be found at www.goldcorp.com . Resource Capital Funds is a group of commonly managed private equity funds, established in 1998 with a mining sector specific investment mandate spanning all hard mineral commodities and geographic regions. Since inception, RCF has supported 179 mining companies, with projects located in 51 countries and across 30 commodities. Further information about RCF can be found on its website at www.resourcecapitalfunds.com . This news release contains forward-looking statements relating to the Offering of Japan Gold. The closing of the Offering is subject to certain risks and uncertainties, such as general economic, market and business conditions, regulatory approval, new legislation, uncertainties resulting from potential delays or changes in plans, uncertainties regarding the Company's ability to execute and implement future plans, and the occurrence of unexpected events. Actual results achieved may vary from the information provided herein as a result of numerous known and unknown risks and uncertainties and other factors.